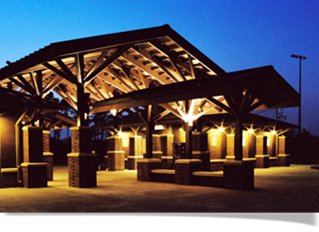 The Ware County Recreation & Parks Department provides quality, diversity, and wholesome parks and recreation services to help meet the needs of the citizens of Ware County. The department is a public recreation department funded by the Ware County Commission. A seven member Parks and Recreation Advisory Committee provides guidance for the Department. The Board members are approved by the Ware County Commissioners. The Board is made up of citizens throughout Ware County, each having a common interest in providing the best Parks and Recreation services possible to all of the citizens of Ware County. The Athletics Division offers activities for both youth and adults. Youth programs include: baseball, softball, football, basketball, cheerleading, golf, and skill camps. Adult programs include softball and basketball. The Ware County Participation Philosophy is as follows: Participation policies in all youth sports programs assume that each child who registers to play will actually play in all scheduled games. The Recreation Department’s philosophy is that winning is secondary to learning and experiencing the excitement that comes with playing the game. Welcome to the Childers Family YMCA of Waycross – Serving the Southeast Georgia Region website. If you’re new to the area, you’ll quickly learn that the YMCA of Waycross is deeply rooted into our community’s history. Throughout this website you will find introductions to many of the exciting programs that our professional and degreed staff have designed in service to our community members. Today the Childers Family YMCA operates at the Plant Avenue facility and proudly boast recent renovations to the Olympic size heated indoor pool, preschool department, outdoor deck & staircase to lower campus, and much more. If its been a while since you’ve been inside, you won’t believe what we’ve done. The Childers Family YMCA prides itself on being a family friendly Christian facility. We are dedicated to providing quality services while promoting Christian values. Participation in the YMCA programs and use of the facilities is subject to the observance of the YMCA’s rules and procedures. YMCA 1634 Plant Ave., Waycross, GA 31501 t: 912 285 8660 www.ymcawaycross.com.